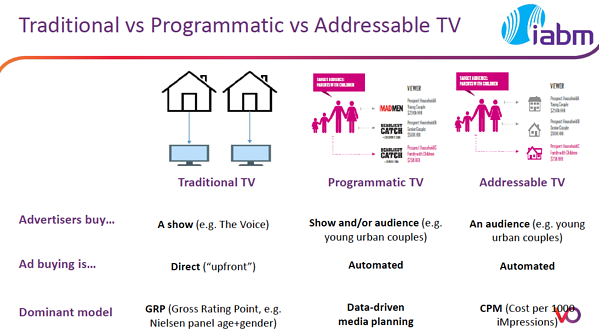 As the industry increasingly pivots away from traditional advertising, our IABM presentation at IBC highlighted the opportunities targeted advertising and programmatic TV present. There is little doubt now that we are starting to see a massive change in the way that brands spend their advertising budgets. And when you are talking about an industry as large as the advertising one is, even small changes have large implications. According to data presented by our EVP, Marketing and Sales, Chem Assayag, at the IABM Future Trends Theatre at IBC2018, worldwide television advertising spend this year is projected to be $207bn. And in a market that large, even a 1% shift can mean $2bn being spent elsewhere. The shift is larger than that too. As we reported earlier this year, by 2019 US companies’ spend on targeted advertising will have risen to 4% of total ad spend, and nearly half of Association of National Advertisers companies are either incorporating it into their plans this year or actively investigating it. You can watch the video of Chem’s presentation ‘The Benefits and Challenges of Targeted Advertising in Today’s GDPR era’ here, but in this post we’re going to pull out some of the main points and highlights. First off, it’s worthwhile to highlight how the traditional advertising models have worked in the past. With traditional advertising, the same advert is seen by whoever is consuming the media, whether that be TV, radio, print, or billboard. It’s effectiveness has long been measured by a metric called ‘Gross Rating Point’ (GRP). As Digiday points out in its entertaining article WTF is a GRP?, GRP is a metric that plays a central role in the $70bn US TV ad market. “The first thing is that usually what you measure is veiling at the household level. We may know that in a household the ad was viewed, but we don’t know the number of individuals watching the ad. Secondly, the TV might be on but what is the real attention being paid to it? There are also questions around the methodologies that are being used to measure the viewing, which is a recurring debate amongst market research companies and ad buyers. As an example of that, he pointed to a PowerPoint of an Opinion Way survey from the French TV market; a market which has its idiosyncrasies, as all do, but can safely be considered broadly representative. This is a problem for the media, this is aproblem for the brands–this is a problem for everyone involved. Over the past two decades and with metrics such as CTR (Click Through Rates) and CPM (Cost Per Mille — i.e. cost per thousand views) digital advertising models established on the web have seen far more exact measures developed. These have proved popular with brands and agencies as they provide exact information about who has seen or interacted with the advertisement and this data is becoming increasingly segmented. There are three main reasons for the growing popularity of digital advertising and why it is being seen as the model for television in turn: advertisers can really target the viewers: people only see the ads that are relevant to them; ad buyers only pay for measurable and targeted impressions; and the entire value chain is completely automated. It is data that is perhaps the real game changer here. As the slide from Chem’s talk below illustrates, it leads us into the world of data-driven media planning. By using data you will be able to provide the advertiser with not just a segmented audience as with Addressable TV, but move towards the Programmatic TV model and be able to inform them of the show which is the most relevant to their target audience. Finally, Chem moved onto the subject of the GDPR, which, of course, is placing limitations on the way that companies use and handle data. Only Chem doesn’t see it that way: it’s not about limitations, it’s about granting rights. As we move into a data-rich environment it gives individuals the right to be informed, the right of access, the right to rectification, the right to erasure, the right to restrict processing, the right to data portability, the right to object, and rights in relation to automated decision making and profiling. Shouldn’t we consider these as normal, he asked? The end result is likely to be a good one for the industry too as the transparency that the GDPR brings increases consumer acceptance of data-driven models in an atmosphere of what optimists hope will be growing trust between consumer and company. This will also lead to less advertising fatigue as consumers see ads that are increasingly tailored to their interests. Chem ended with a brief scene from the film Minority Report which sees Tom Cruise’s character enter a clothing chain, be greeted by name, and then ushered to the clothing he wants. The film is set in 2054 and the mechanisms in use are different, but, as he says, the point is that by combining geolocation, smart devices, and massive data integration, we can do that now. 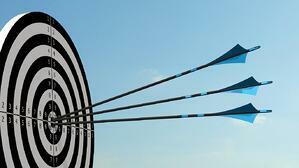 Targeted advertising is not so much the future as the present — and is becoming an increasingly important part of it too. Nardit is Marketing Communications Manager at Viaccess-Orca. She joined the company in 2015 and plays a key role in telling VO’s story to a widening global audience, both via content marketing and her events management skills.